Denpasar - Thursday, (28/06/2018), located at Nusantara Room Agrokompleks Building, Sudirman Campus Denpasar, Faculty of Social and Political Sciences (FISIP) Udayana University held a commemoration of Kindergarten (IX) with theme "Sendiri Kita Setetes, Bersama Kita Ocean Unite For FISIP Unud ". The event was attended by the Rector, the Chairman of the Senate, Vice Rector, Dean / Vice Dean, Post Director along with Wadir, Chairman / Secretary of the Institute, and Prof. Dr. dr. 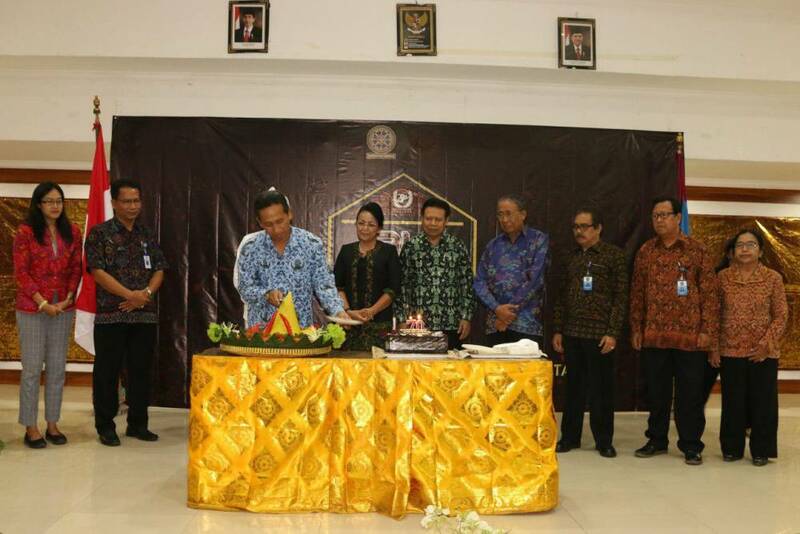 I Made Bakta, Sp.PD (KHOM) as the founder of FSIP, and the academic community of FISIP Unud. Dean of FISIP, Dr. Drs. I Gusti Putu Bagus Likes Arjawa, M. Si conveys that in his nine years, FISIP has graduated 550 students who have worked in various places throughout Indonesia. Currently FISIP has approximately 1300 students from various provinces in Indonesia. At the age of nine, FISIP has six accredited programs. B. In his speech, the Dean expresses his appreciation to the Rectorate who has supported the procurement of facilities and infrastructure to support the teaching and learning process and the building of FISIP building considering the lack of space 70 people for teaching and learning process. 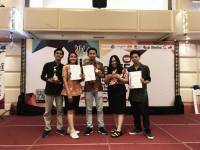 Various achievements have been achieved by FISIP among them with the number of FISIP students who have achieved various achievements and the name of FISIP. The future of FISIP is expected to contribute thought especially in the field of social science and politics for development in Bali Province. Through this theme, it is expected that all academic community can unite to build Unud, Bali and Indonesia. Rector of Unud, Prof. Dr. dr. A A. Raka Sudewi, Sp.S (K) in his speech hoped FISIP start to initiate the birth of the master program which is expected by the alumni. The dean is expected to immediately form a team to support it. 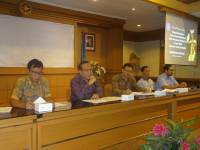 Furthermore, Rector conveyed that there are four things that become the main point for the progress of Unud. First is the institutional governance implemented in the declaration of the integrity-free zone of corruption, clean and serve, the second is the attention to the human resources covering lecturers, staff and students considering this is the spearhead in building the Unud, the third is Tri Dharma Perguruan Tinggi fourth is the quality of facilities and infrastructure supporting education. Through this opportunity, the Rector invites all academic community together to work and unite in achieving the programs that have been planned.